Alright folks, here we are. A new year and a new set of resolutions. Are you still going strong? Are you still trying to make those positive changes in your life? Well, if you’re like me, you did great for the first day and the second. Then, the kids got sick. Then you sleep in and don’t go workout cause you’re going to do it later. (You and I know that particular later will never come, don’t we?) But there is still hope, my friends! We can make changes and the best way is through swimming! “Why swimming?” you may ask. Well, I will give you a reason. In fact, I will give you 4 reasons why swimming should be your new new year’s goal! So, for a lot of workout resolutions you need to buy stuff like shoes and running gear or a bike or whatever. 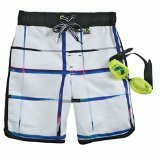 With swimming, all you need is some swim trunks/suit, some goggles and an Underwater Audio Waterproof iPod Shuffle. With these few things, you are ready to go! Swimming is a low impact activity.That’s the great thing about it. It won’t beat on your joints and muscles like running or biking would. You would think that you might lose out on the health benefits because it doesn’t hurt. But that’s where you’re wrong! A good swim workout can burn a ton of calories just like running and biking. The down side of running or biking is that you only work certain muscles. You end up having to do more to get the results that you want. 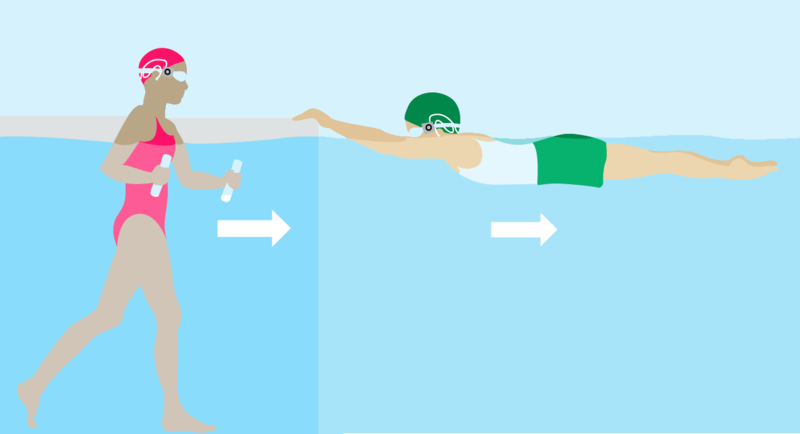 When you swim, you work all the major muscle groups at once! One workout doing the job of ten! Well, maybe not that many, but you do get more bang for your buck. That’s for sure. It’s not uncommon to see someone out running to music. But swimming is different. Listening to music while swimming will change your workout life! You can use music to create a workout that let’s you warm up, then build to full steam, then cool down. Or do somthing different. Music makes swimming a whole new deal. 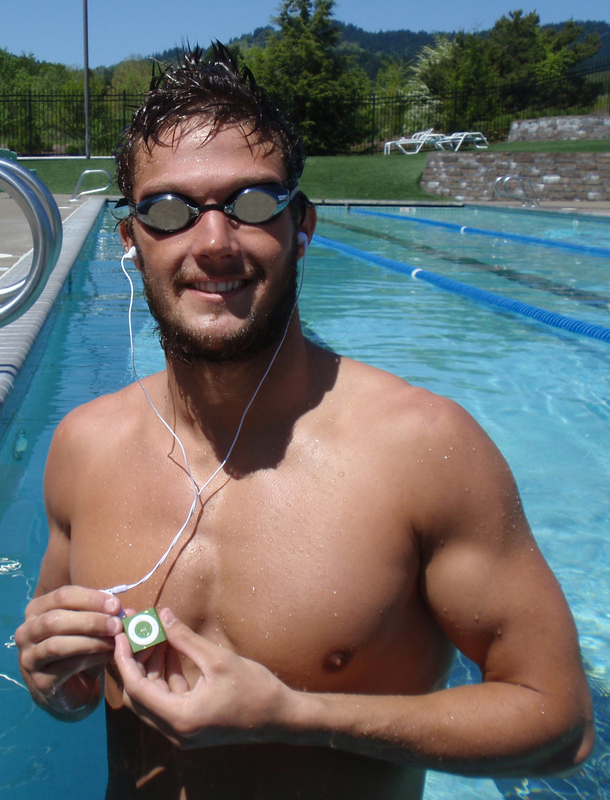 Helpful hint: Get a Waterproof iPod Shuffle from Underwater Audio. It will hold all the music you want, it can go anywhere, and they have a podcast that you can download. It’s like having a swim coach in your ear while you swim! How cool is that? 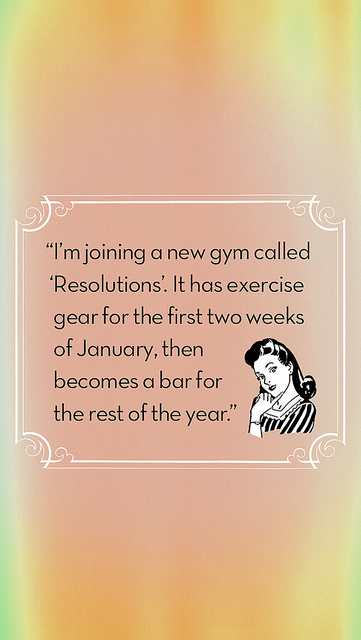 New year’s resolutions are always hard to keep. But if they were easy, would we want them as bad? So let’s start a new resolution and swim like crazy. If you have any questions or comments please leave them in the comment section below. Swim fast and rock!